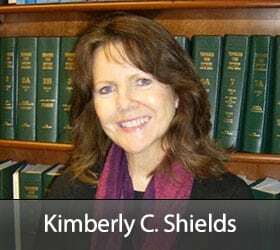 Kimberly Shields | Memphis Personal Injury Attorney | Branch & DhillonBranch & Dhillon, P.C. Kimberly grew up in Memphis, TN. She received her R.N. from Baptist Memorial Hospital School of Nursing in 1980 and her B.A. from Memphis State University in 1990. She graduated from Cecil C. Humphrey’s School of Law at the University of Memphis in 1995 and was admitted to the Tennessee bar the same year. Prior to practicing law, Kim was also a practicing Registered Nurse for 15 years. Kim has over 21 years of experience as a trial lawyer in the areas of Medical Malpractice and Personal Injury. She was named a power player in her specialty by Memphis Business Quarterly. Kim has been listed on the Pro Bono Honor Roll with Memphis Area Legal Services. She is a former Partner of The Hardison Law Firm who received Tier One in Health Care Law, Medical Malpractice, and Personal Injury – Defense of “Best Law Firms”. The publication features all of the top ranked (Tier 1) U.S. law firms by practice area and includes a breakdown of firms ranked nationally. Changes in the Health Care Liability Act, Christian Brothers University, Guest Speaker, B.S.N. program.